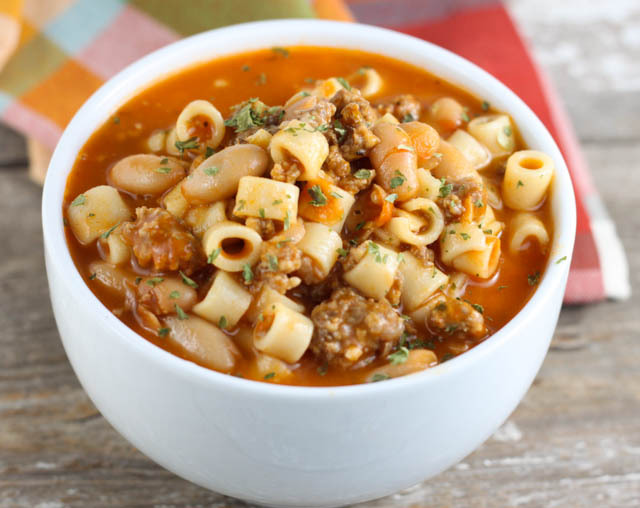 Mommy’s Pasta Fagioli Soup with Sausage is a pasta and bean soup that is hearty enough to be served as an easy meal. 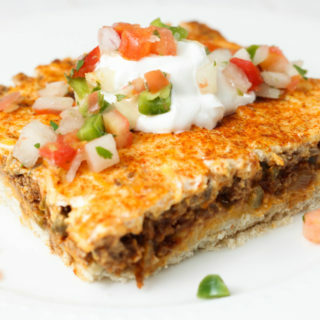 This recipe comes from the 101 Farmhouse Favorites Cookbook from Gooseberry Patch I adapted it and added sausage. I love soup in the winter it is exactly what we need when coming in from doing chores on the farm in the cold. Not only does it warm us up but soup is usually easy to make and something I can toss in the crock pot to stay warm. 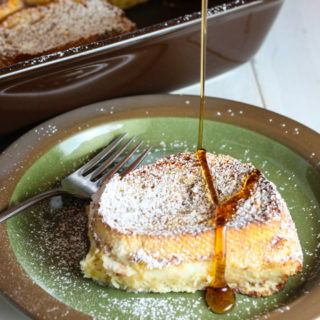 Perfect for busy families! 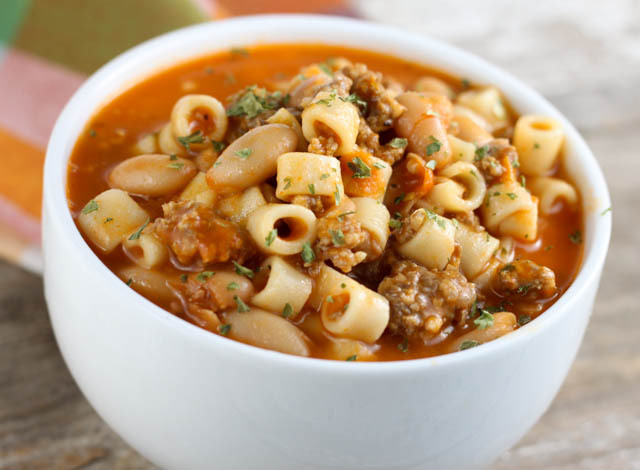 Soup usually freezes well too (minus the pasta, omit and add when re-heating) making it perfect for a quick meal. 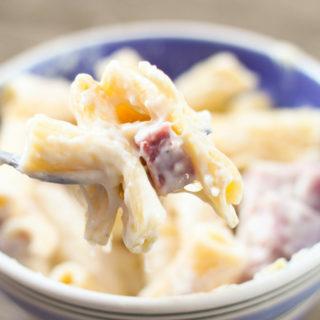 This soup is easy to make. 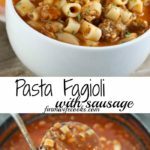 Traditional Pasta e Fagioli doesn’t have meat but the addition of sausage just adds so much flavor! Start by browning the sausage. 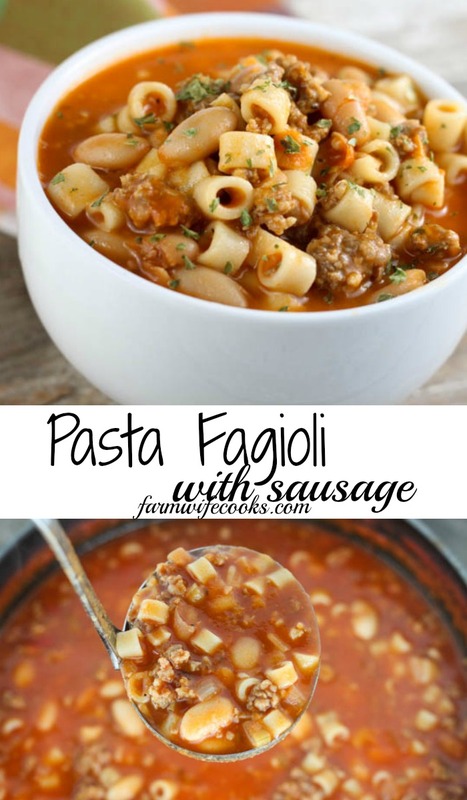 I used a sweet Italian sausage but you can use whatever type of sausage you like best. Add the onion and celery and give them a quick saute. Add remaining ingredients except for beans and pasta (you don’t want to cook them too long or they will turn to mush) and cook for about an hour. Add pasta and beans and heat through. In a stockpot over medium heat, brown the sausage until no longer pink; drain. Add the onion and celery and saute until translucent. Add broth, tomato puree, thyme, rosemary, salt and pepper and bring to a boil. Simmer over low heat for on hour. 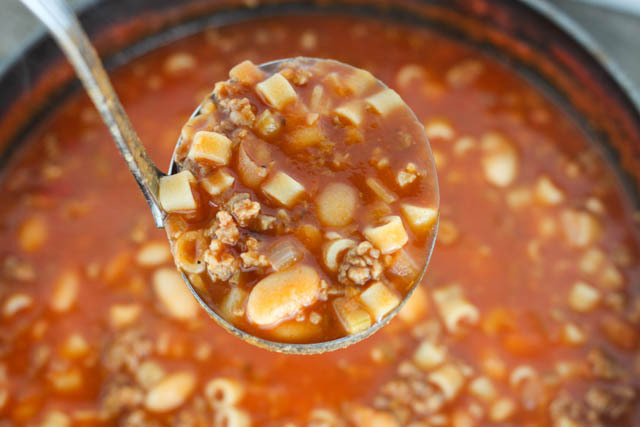 Add beans and pasta to soup; heat through. This post is sponsored by Indiana Pork but all thoughts and opinions are my own! Also, you don’t mention in directions where/when you add butter. Measure the pasta dry and add the butter when you are sauteing the onion and celery. Enjoy!